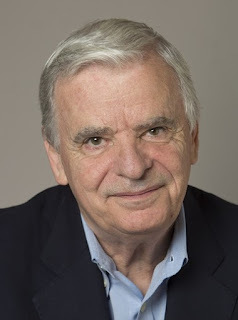 Award-winning novelist A.A. Freda received high acclaim for his debut novel, Goodbye Rudy Kazoody. 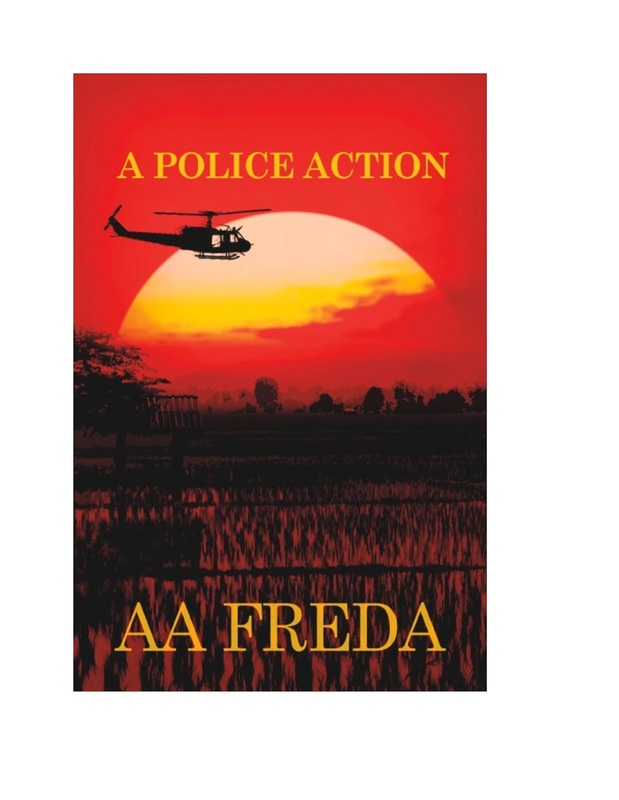 In his second novel, A Police Action, Freda delivers a gripping Vietnam era novel about two lost, confused young adults, Samantha Powers and James Coppi. What’s inside the mind of a coming of age author? Well the first thing inside my mind is the ability to drift back to a time when I was trying to develop to adulthood. The wonder and mystery of it all. The anxiety felt when life didn’t appear to be going as anticipated. The emotions of teenager or a young adult trying to lean exactly where they should fit. Since I’m a fiction writer what I enjoy the most is the ability to tell a story. To keep a reader interested for hours and days in a tale that I spin. To allow the reader to enter a world that they may have never contemplated going to. Dealing with the editor is a tiring time, although important. When you write a story, and realize that it needs a major rewrite. The moment you realize what you have on paper simply will not work. Writing days vary. There are the days when you’d rather do anything but write. Come up with one project or another to avoid writing. Then there are the days when you don’t want to stop. The story is so clearly in your head that you simply will not put down the computer. To afraid that if you stop, you will lose all those good ideas. I don’t know much about other authors or their egos. I don’t have a massive ego. My head does swell a little when I read a good and well thought out review. Fortunately, I have not had many bad reviews. If it is a well written negative review pointing out certain weakness in my writing I will give it its due. For the most part, I tend to ignore negativity. Other than the swell head that I previously mentioned, I try to evaluate what it was that the reviewer liked. How can I keep that positivity and use it in my next story. Most of my acquaintances know that I love to write. The usual response is to ask me questions on what I’m currently working on. Well if I’m not on a deadline, I don’t force my writing. I like to go hiking and mountain climbing. It allows my imagination to get recharged. Shooting pool is another of my favorites. I have a pool table in my house. Will play for hours, even by myself. I like to write in my favorite chair. The best writing seems to happen in that chair. I can’t control what people around me think of my writing. If they read my books and like my stories, that’s enough for me. No, I can’t, I love writing. It is the greatest form of escape. No absolutely not. Although it wouldn’t be all bad if I made some money writing. There’s other ways to measure success in writing. Good reviews. Awards, and so on. What had writing taught you? It has taught me that there is no limit to a person’s imagination. You can write about far away beings from a distant planet, or two people having a conversation over a cup of coffee. Good writing can make both of those situations interesting to a reader. 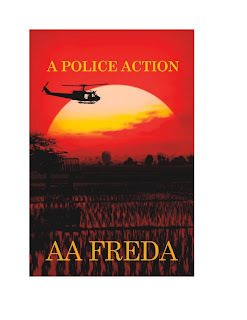 A Police Action is a gripping coming of age Vietnam War era romantic novel. It is the story of two lost and confused young adults. It is love at first sight when nineteen-year-old Samantha Powers meets James Coppi at the Country Honky Tonk in Colorado Springs. 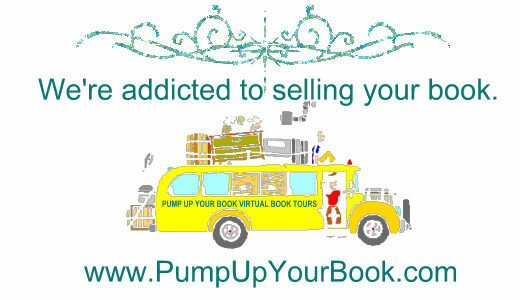 There are just two problems to a storybook ending for Samantha’s passion. She is pregnant with someone else’s child and James, a young soldier, is heading for a war in Vietnam.